Each year, Downtown Decorations collaborates with colleges and universities across the country. 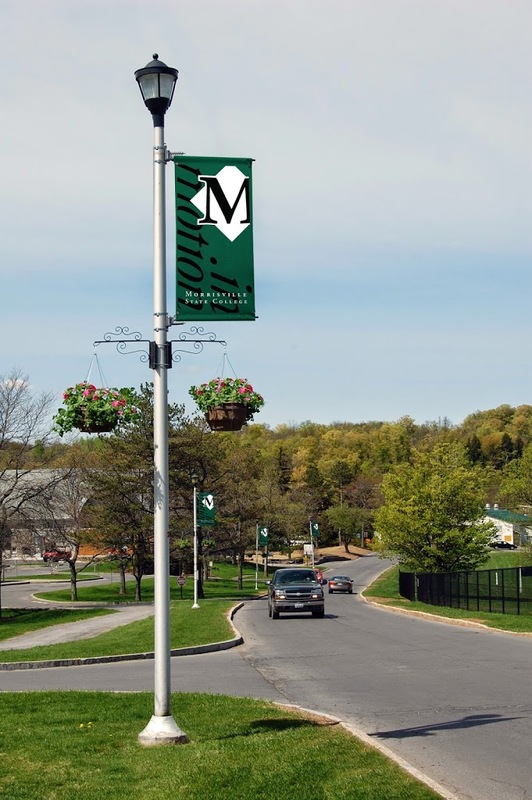 Typically, we produce collegiate light pole banners for the schools, but we have also worked on other unique custom décor projects. 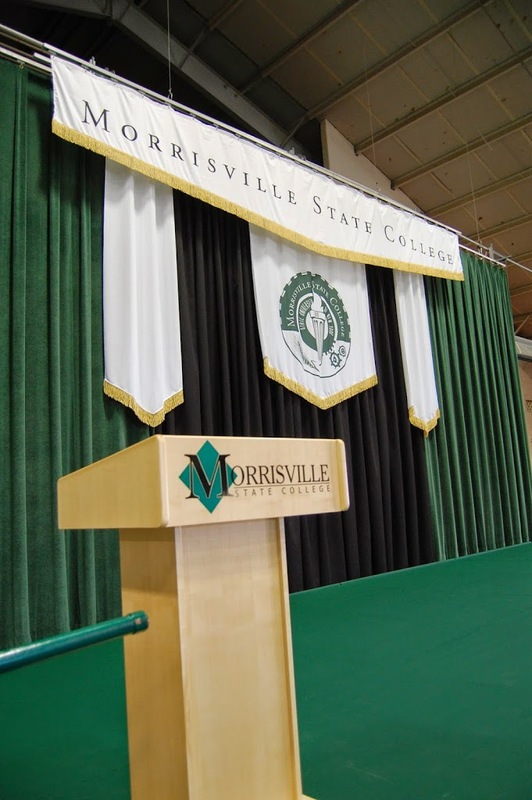 A great example of this is the large commencement banners we designed for Morrisville State College in Morrisville, New York. We began working with the school back in 2010. 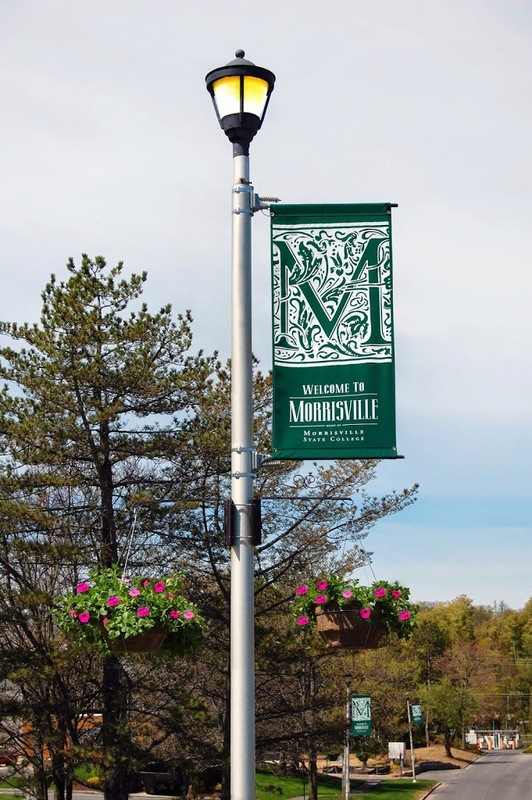 Since then, we have produced many different light pole banners for them, including the “In Motion” and the “Welcome to Morrisville” designs pictured in this post. In addition to the light pole banners, we also produced large commencement banners for the school in 2012. 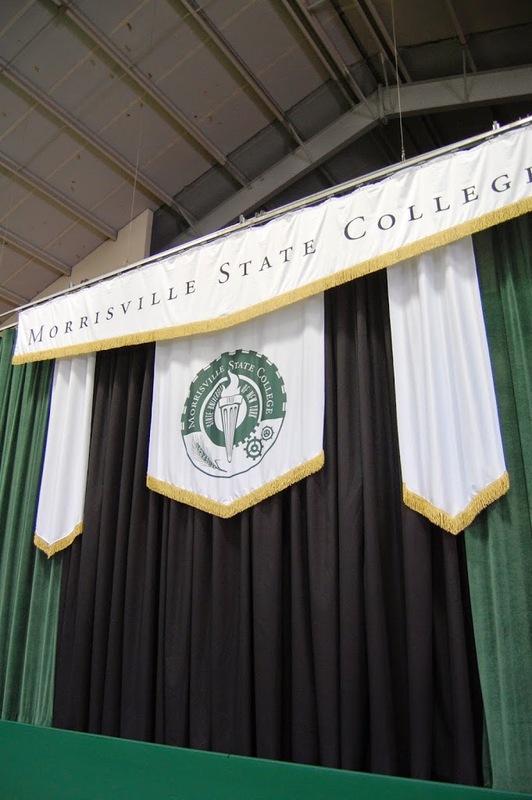 The elegant crisp white commencement banners feature gold frayed trimming and the college’s seal printed in forest green. We love the way they turned out and we are happy the school will be able to use them for years to come.